The FCC's new "Net Neutrality" proposal, which would prevent carriers from slowing or blocking Internet traffic as they see fit, is a huge win for entrepreneurs and consumers, and a major setback for telecom giants such as AT&T, Verizon, and Comcast. 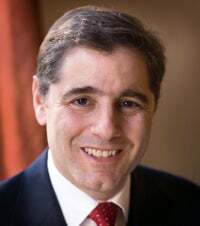 The new rules, proposed this morning by Chairman Julius Genachowski, would prohibit discrimination among applications and users on the nation's telecommunications, wireless, and cable Internet services. A related proposal would require carriers to make their network management practices public. Genachowski said its not an issue of "good guys" versus "bad guys," but that the Internet suffers from three major problems. The first, he said, is limited competition between carriers. The second are perverse incentives for carriers to not promote services that compete with their existing telephone and cable businesses. While the third is the continuing growth of Internet traffic causing problems for carriers. Taken together, the proposals prevent the carriers from selecting winners-and-losers among Internet applications and heads-off potential discrimination against services that might compete with carriers' own offerings. (Read our full coverage of Genachowski's announcement of the proposals). If enacted, likely by a 3-2 party-line vote at the FCC's October meeting, the rules would prevent the carriers from deliberately blocking or slowing some types of Internet traffic. The rules take away the carriers' control over development of the Internet. Proponents of the new rules say they will ensure predicable Internet access to new services and applications. My take: This is a great day for the Internet and it will be an even greater one when the FCC takes a formal vote. It is a win for the future in a battle against the established telecom interests as well as a move toward making the Internet a level playing field for developers. Lacking these new rules, the carriers would be free to charge companies more to carry certain types of Internet traffic or to not carry it at all. There could be no uniformity between networks, meaning that an application that worked on one might not work on the others. The Internet is successful because it has (mostly) been an open platform, available to all developers and technologies. The FCC is taking steps to make sure openness continues and yesterday's telecom giants will not have a veto over the Internet's future.